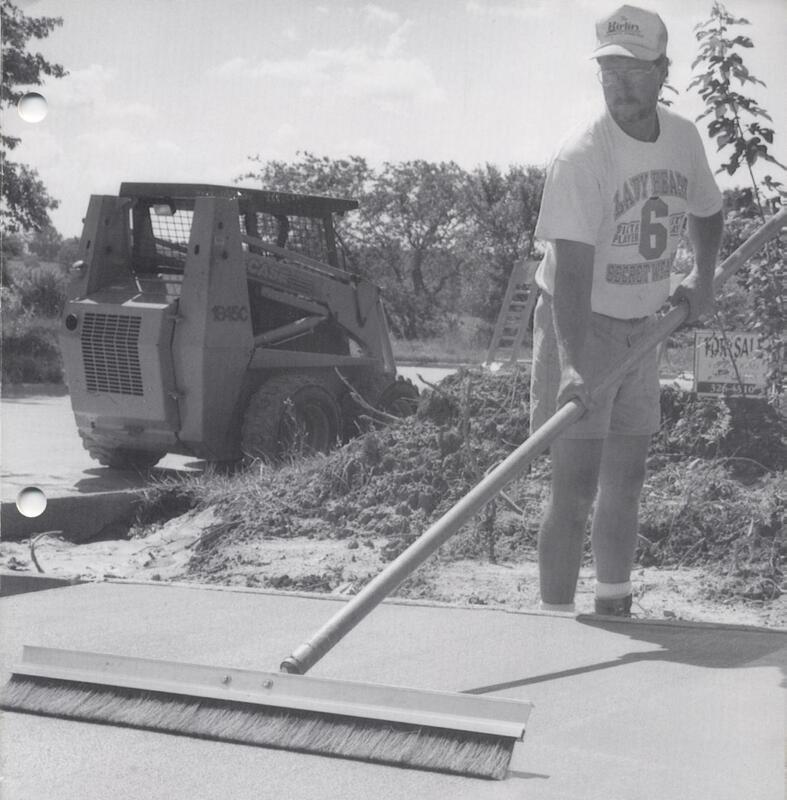 "A rugged yet lightweight texturing tool designed to produce a groove finish to prevent planing and provide non-skid traction as DOT specified for use on highway and bridge surfaces - inclined ramps and drives, airport runways, livestock facilities, etc." The original flat wire tine texture comb featuring snap-out, snap-in replaceable tines. . . broken or damaged tines replace effortlessly in seconds without tools or disassembly. We specialize in short lead times and quick delivery for combs of special lengths and random tine spacings. 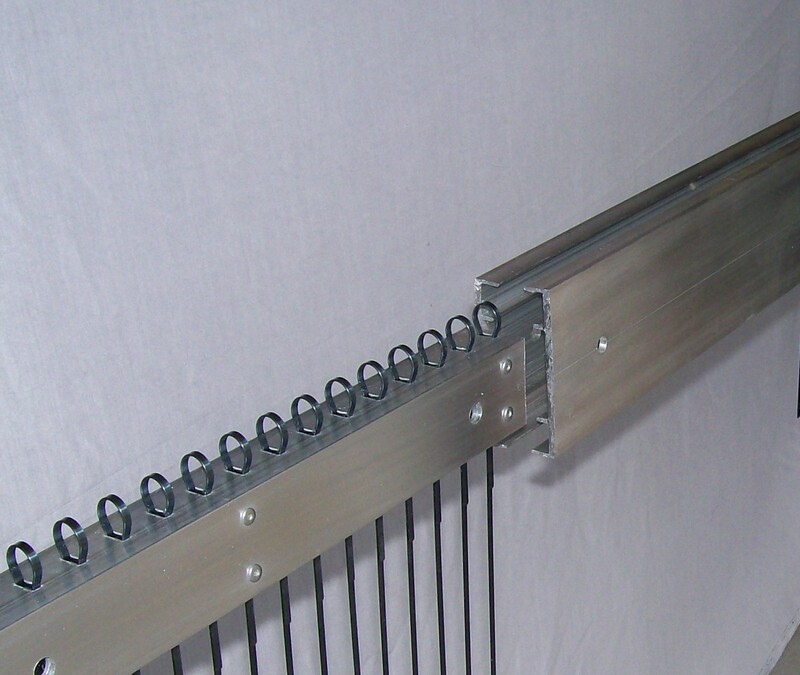 Continuous lengths of up to 12' available. 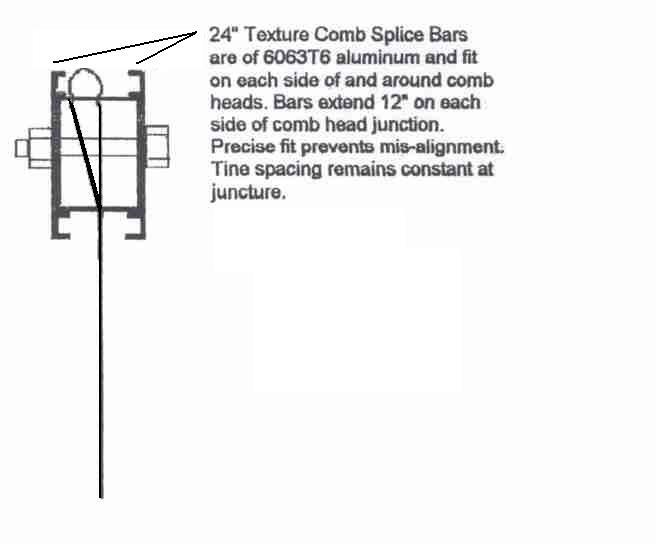 Use pre-fitted splice bars (below) to combine 2 or more combs to any practical length. Tines are of .028" x .125" x 5" exposed length blue tempered spring steel. 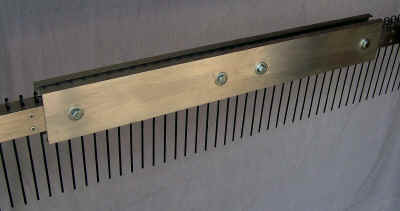 Comb head is 6063-T6 aluminum . . . lightweight yet sturdy. 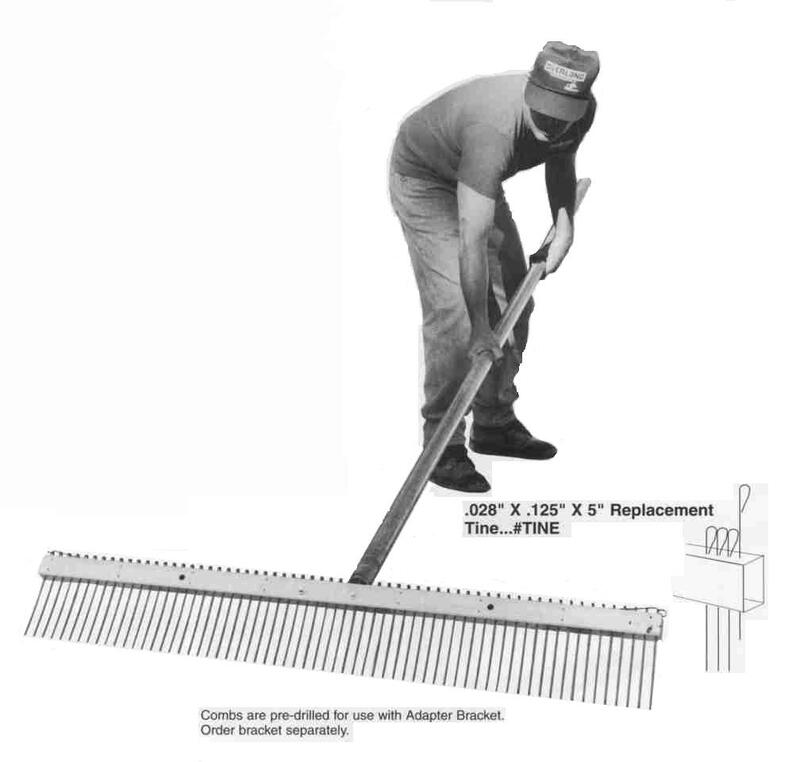 All comb heads listed below are pre-drilled for Handle Adapter Bracket and for compatibility with Broom/Float Adapter Bar and RopeRunner™ rope-pull accessory. All tine spacing dimensions described are measured Center to Center (ctc.) 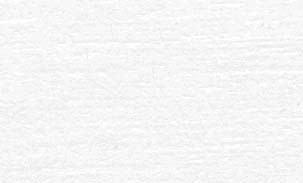 To convert Clear Space specification to ctc equivalent, add 1/8". All combs packaged 1 per carton. For comb complete with Handle Adapter Bracket, add -3 to item number. 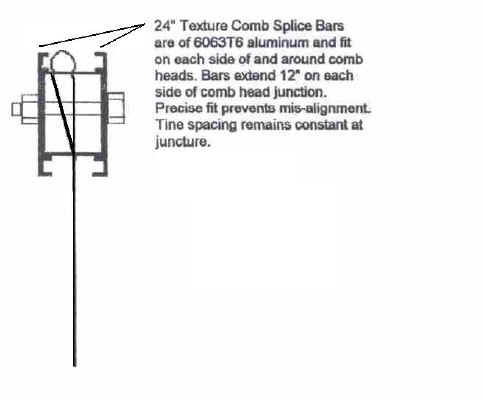 Use splice bars to join together (end-to-end) 2 or more texture combs to achieve any practical length. 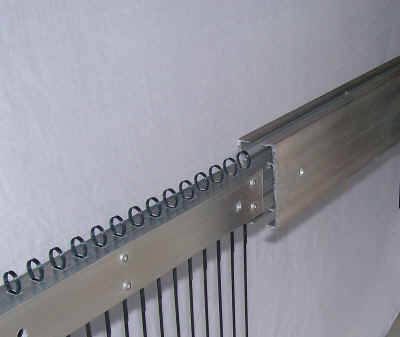 Splice Bars are pre-fitted at the factory to allow easy bolt-together assembly. Tine spacing remains constant at juncture. 24" Bars extend 12" from either side of juncture. 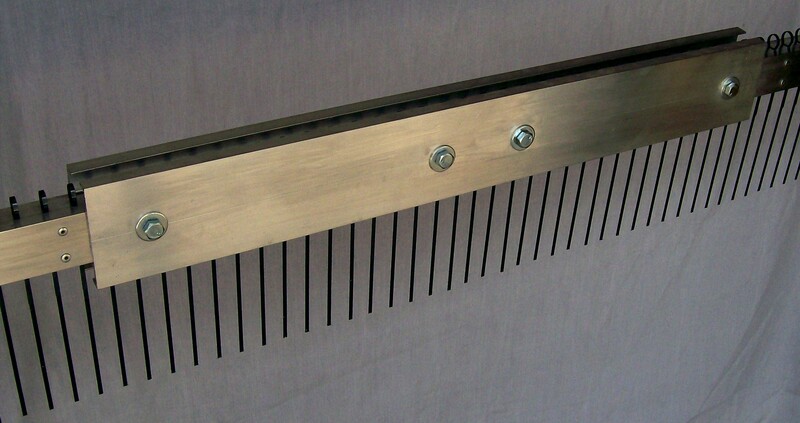 Disassemble extended comb into segments for easy transport from job to job.